Story about Agnes Magnúsdóttir who was condemned to death for her part in the brutal murder of two men in Iceland in1829. Really liked the book, interesting, emotional; devastating end. Wonderful; great writing good descriptive on relationships. Showed what life really was like for the time; hardship. The writing was very vivid and took the reader on a great journey. One of the best books read this year. Very different, good insight into the way of living and different class of living standards. 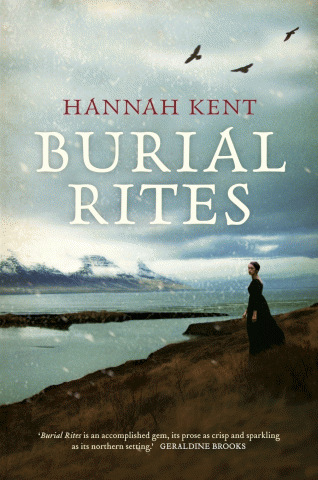 This entry was posted in Australian Authors, Book Reviews, Historical Fiction and tagged Burial Rites, Hannah Kent, Parramatta Library by admin. Bookmark the permalink.